Baile an Or, the site of the Great Sutherland Gold Rush of 1869, is situated on Suisgill Estate. Although there is little likelihood of striking it rich, Baile an Or is a mecca for gold panning enthusiasts who, through this absorbing pastime, enjoy fully the beauty and timelessness of the Highlands. It is hard to imagine today but, when in 1868 a local man by the name of Robert Gilchrist started to find significant amounts of gold in the Kildonan and Suisgill Burns, word reached the newspapers and soon the site of Baile an Or was to be at the heart of the Great Sutherland Gold Rush, with some 600 prospectors making their way to the Strath of Kildonan by the spring of 1869 in search of their fortune. 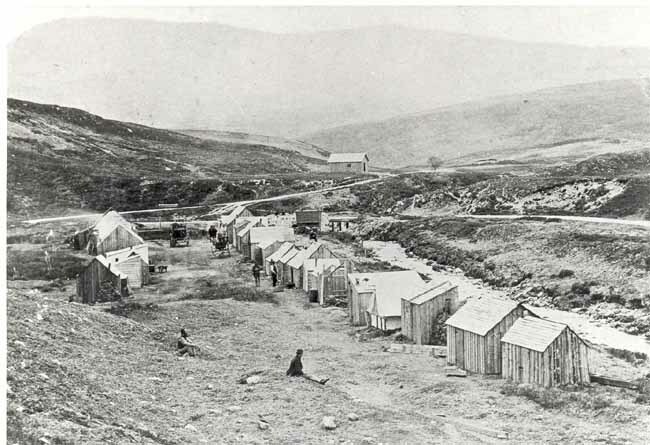 As a result of this influx of people to the area, two temporary settlements were established on the Strath: a shanty town of wooden huts called Baile an Or (which is Gaelic for the ‘Town of Gold’) alongside the Kildonan Burn and, two miles up the Strath near the Suisgill Burn, a tented settlement called Carn na Buth (‘Hill of Tents’). However, numbers soon diminished to roughly 200 prospectors when the Duke of Sutherland, anxious to gain some control over the situation, began to issue gold mining licences at a cost of £1 per miner per month, plus a payment of a 10% Crown Royalty on any gold found. As the amount of gold being found got less and less, numbers diminished yet further when the onset of the herring season in August offered alternative employment. Ultimately, however, it was the conflict of interests between the prospectors and those involved in fishing, stalking or grazing sheep on the Strath of Kildonan that caused the real problem, resulting in the Duke deciding that all gold operations would cease from 1st January 1870. The Kildonan Gold Rush had lasted just a little over a year. Baile an Or has changed very little since the last prospector huts were cleared away and visitors to the site today will find a small shelter and an information board to remind them of the area’s fascinating history. 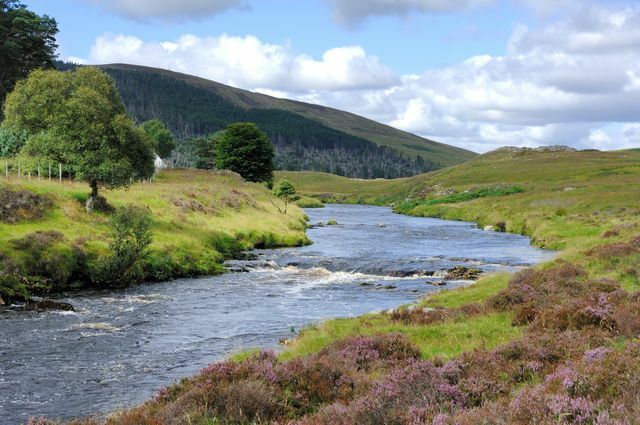 The site of Baile an Or and the gold panning rights to Kildonan Burn are now owned by Suisgill Estate and recreational gold panning within strict rules is permitted along a stretch of that burn. Visitors to the site are also welcome to camp, free of charge, for a maximum of two weeks a year. For further details about the permission and rules for gold panning on Kildonan Burn, as well as details of how to get permission to pan for gold on Suisgill Burn, please click here. By Car: From Helmsdale, take a right at the Bridge Hotel and follow the A897 towards Kinbrace. This will turn into a single track road with passing places. Follow this road for approximately 8 miles and on a sharp bend just before a bridge you will see a green sign for Baile an Or on your right next to a small hut. From Thurso, head west on the A836, passing through Reay and continuing for another 4-5 miles before taking the next left onto the A897. Follow that road for approximately 28 miles and, continuing past the Glen Loth turn at Kildonan, you will find Baile an Or on your left about half a mile further down the A897. On a sharp bend, you will cross a bridge and see a green sign for Baile an Or next to a small hut. By Train: There is a railway station at Kildonan, which is approximately 1 mile from Baile an Or. Kildonan Station is a request stop and there are three trains a day. For more information about train times, try the Trainline website.